Charles Workman was the second child to Samuel and Anna Workman, both whom lived up to the family name as hard working parents juggling six children on the Lower East Side. Obviously with such a numerous brood of children, it wasn’t easy to keep a handle on them all and little Charlie soon strayed from the pack and became the requisite black sheep. Trouble found him early and he quit school before reaching high school level. During his teenage years Workman quickly developed a hard exterior shell from the daily challenges that life offered on the East Side, and his reputation grew as one of the neighborhood’s tougher kids. His first arrest came at the age of 18, a petty theft of a $12 bundle of cotton off a truck and was served probation. It was just the beginning though as further trouble loomed for Charlie in the coming years. As the 1920’s were coming to a close, the strong-arm twins of Jacob Shapiro and Louis ‘Lepke’ Buchalter had become notorious figures in the neighborhood; especially in the wake of the shooting death of their former labor slugger boss Jacob ‘Little Augie’ Orgen on Norfolk Street in 1927, conveniently by their own hand in a grab for power. Much of 1920s gangland’s financial foundations were built upon the prosperities of Prohibition, but New York City’s long history of labor wars was also a lucrative affair and Shapiro and Buchalter excelled at it through union payoffs and protection rackets. On occasion they would call up on freelancers and teenage toughs who looked like they could defend themselves to help with the strike lines in exchange for a quick buck. When they spotted Workman he fit the bill. His freshman year with Shapiro and Buchalter taught him the inner working of the garment business, and Lepke was impressed enough with Workman to take him under his wing and put him on his personal payroll. This made Workman available to Lepke at all times – and as extra muscle to the Brooklyn based combination under his command when needed. Suffice to say Workman’s straight ahead bravado and strong, silent demeanor was a breath of fresh air for Buchalter, who generally found himself surrounded by too many dimwitted torpedoes and egos much of the time; all clamoring for the position of top tough guy in order to please the boss He developed quite a fondness for Charlie, and that affection at times roused a little jealousy among the ranks. Buchalter claimed Workman had more guts than the rest of his men put together, so much so he was “bugs” - hence his underworld sobriquet was cemented. Despite his preferred standing with Lepke, much of the remaining troop couldn’t hold their envy for Workman for too long as he was genuinely like and respected all around. Handsome Charlie was a stand up guy and the Brooklyn triumvirate of Abe Reles, Buggsy Goldstein and Harry Strauss regularly invited Workman to a fair share of family weddings and Bar Mitzvahs; they considered him family, especially after Workman decided to start one of his own and moved to the borough. His reputation as hit man grew considerably as well, and was at one time, not only on Lepke’s payroll, but also moonlighted for Meyer Lansky and Dutch Shultz. In October of 1935, when the syndicate decided it was time for the Dutchman to go, Workman was the unanimous choice. Lepke sent his second in command Emanuael ‘Mendy’ Weiss as his back up, while a man only known as Piggy was the designated driver. Workman didn’t even flinch at the prospect of rubbing out a former employer as he headed over the Washington Bridge. After the smoke had cleared in the back room of The Palace Chop House in Newark, NJ, and Dutch Shultz lay on the bathroom floor with five bullets in his body, Workman exited the restaurant to find Weiss, Piggy and the car gone. Fuming, Workman later claimed he followed the train tracks and walked back into Manhattan, irate over Weiss abandoning him in the Garden State. Words flew and tempers raged between the two men for quite some time and Lepke had to step in and maintain the peace, sending Workman down to Florida to cool off. Mendy Weiss’s reason for abandoning the scene was he poked into men’s room after Shultz was shot and saw Workman pilfering his wallet. In his mind, the hit was over. Nothing was ever discussed about stealing money and wasting valuable time. He ordered Piggy to take off and not wait for Workman. The job was over and if Charlie wanted to stay behind and pinch his wallet that’s a whole other business. And so goes gangster logic and perhaps a sting of jealousy on Weiss’s part in hopes the cops swooped down in time to handcuff the boss’s favorite boy. In early 1940 Workman was picked up in Brighton Beach on a vagrancy charge. The real motive for the police was that Abe Reles was in custody and was starting to talk. A lot. Reles was feeding the Brooklyn District Attorney some important facts slowly as he was building up his deal and immunity demands in exchange for testifying. When he told them he could tell them who had shot Dutch Schultz back in ’35, he knew he had their full attention. It had been an open case for five years. Workman faced a $75,000 bail that he couldn’t pay. The amount was intentionally high as the rounds up in Brooklyn were continuing and the authorities wanted to make sure all suspects in custody were to remain in place as the prosecution stacked their decks and prepared their cases. Workman had no idea at the time he was not to see the outside again for many years. When finally formally charged with the Shultz killing, Charlie pleaded frame up. Allie ‘Tick Tock’ Tannenbaum, was also ratting on his former colleagues and taking the witness stand, and had been chummy with Workman when the Palace Chop House rift made the underworld gossip column. Workman had supposedly told Tannenbaum, who was also a soldier for Buchalter, the details of the Shultz hit and his side of the story. Charlie had always wanted to make sure he got full credit for it, as it was the highest profile gangland hit since the St. Valentines Day Massacre. Tannenbaum recounted the incident to his captors, in essence corroborating Reles’s testimony, and Charlie’s outlook at liberation was not looking good. Charlie Workman's trial in June of 1941 was one of almost impossible odds to beat. His case was formally heard and judged in New Jersey since that was the jurisdiction of Shultz’s killing and so ended up out of the very busy hands of Brooklyn DA William O’Dwyer and prosecutor Burton Turkus. A man named Louis Cohen, who ran a funeral parlor, was brought in to testify that Workman had been on his payroll and was working for him the night of the shooting. Cohen, perhaps secretly bullied by the prosecution, had an unexplainable change of heart the next scheduled day in court and admitted he was lying and the Bug was squashed. Unlike some of his co-horts like Buggsy Goldstein and Harry Strauss, who were recently executed in Sing Sing, Workman got off 'easy' - staring down at life-hard labor at Trenton State Prison. He was 34, and took it without flinching. Workman took his straight-ahead bravado and strong, silent demeanor that he carried on the streets and applied it to his prison life. He was a model prisoner, and was paroled twenty-three years later in 1964. Charlie Workman returned to the world as a gray-haired grandfather; sustained during his long period of incarceration by the love and support of his wife Catherine. In a brief statement to the press he claimed he regretted his younger wayward ways but knew there was nothing he could do to change it. One of the first things he did was address his new grandchildren to stay out of trouble no matter how bad things may look or seem, and that they come to him first if there was anything troubling them. He took a job in the garment industry ironically enough in the same district where Lepke Buchlater presided over many years before, and never discussed his past life again. Workman was a valued hitman! 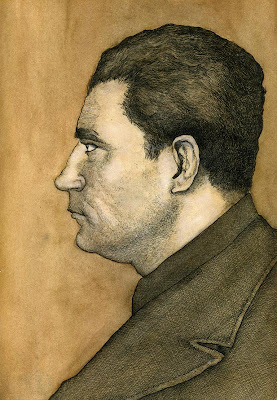 The Dutch Schultz job is an example of his capabilities, and what the powers that be thought of him! Dutch had to go, he publicly embarassed and defied Lucky and the Board of Directors regarding D.A. Tom Dewey!! "The Bug" was reliable and could be depened on to make sure the job was a success! A man who, in my opinion, never received the credit due him...but in his line of work, you do not exactly brag or carry a list of victims in you holster!! My name is Ken Andrew Workman. This was my Grandfather. I knew him as pop. This man was a great teacher to me for his wisdom and kindness to me and our family. Too bad he died w/o ever writing a book of his memoirs. It would've made an interesting good reading from a historical perspective about organized crime. From what I have read about him,he was a pretty nice guy.To bad he became what he became.He learned crime does not pay the hard way.Hopefully his last years were peaceful. It seems bad choices at a young age happen. He obviously channelled his energies and ethics for good when the time came. I wonder where he is buried. I do not know if any of his progeny were Jewish, but Jewish underworld characters did not encourage their kids to follow in their footsteps; they saw this lifestyle as a quick entrance ramp to success in the eyes of society and when they joined the moneyed mainstream let their children enjoy their labors. This was how a couple of my old time underworld patients described it to me, as well as saying Dutch Shultz was a most miserable person and nobody regretted his death. My name is Peter Cimino - I am an author. Over the past year Charlie's son Chuck and I have become very good friends. I am in the process of writing about Chuck's life that of course includes his father. His story is one of the most amazing you will ever hear. Charlie was who he was regarding his life in the mob, but he was much more than that, as were most of his close friends and associates. Hence the working title of our upcoming book, which is in progress is called "The Other Side of the Mob". To the family of this man...... I'm curious of the family tree. I married into the foley/workman family. And we were wondering if he could be related. His pictures look like he could be. We were just curious. Who was he married to? Who are his children? Who are his grand children? Who are his great grandchildren? Who are his siblings? Who are they married to? Who are their kids and so on..... Any info would be helpful! G.G.G.Grandmother on my father's side born very early 1800's. This is all interesting. My mother's maiden name is workman daughter of Edward and Dorothy Workman from West Virginia. I have heard some talk of a man called Charles (Buggsy or The Bug) Workman being my distance cousin. He's my great grandpa too... but he died before I was born. He's my grandpas father. Did Dorothy have a sister named Betty? Workman's son, Chuck, became golf pro at Bethpage State Park in NY for many years before retiring to florida. After the Sr Workman died, the mob would drop off an envelope of cash at the golf course every month which was to be passed on to Workman's surviving wife, Catherine to take care of her.